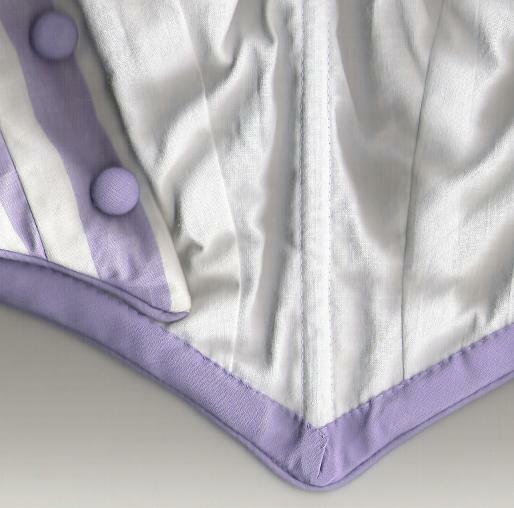 Piping (right/outside) of neckline opening. 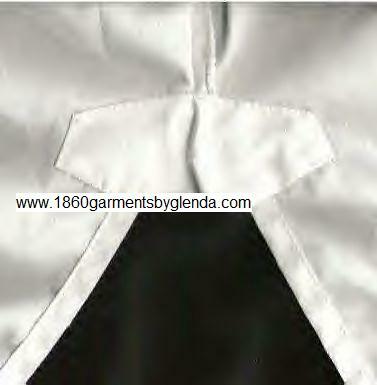 Neckline Piping from the inside – finnishing the neckline so that no raw edges are seen. Hand-stitched into a dress opening. This is done only on request for original, historical reproductuons. Hand stitched hook and eye sets take approx. 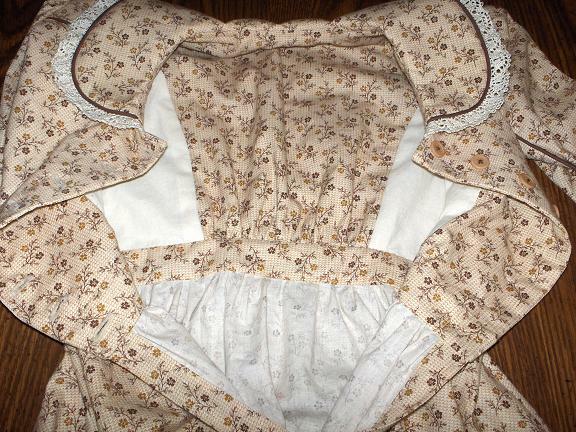 6 hrs to complete an entire opening in the bodice of a dress. 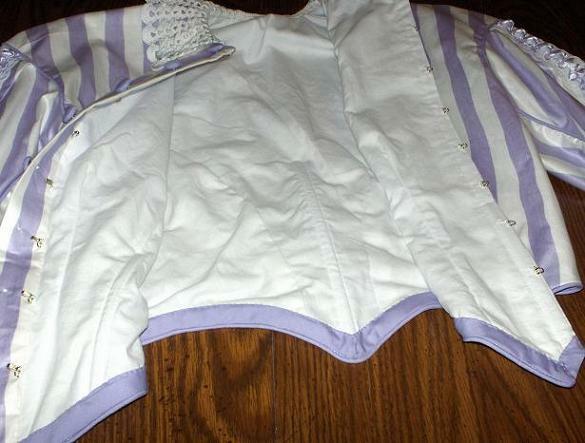 Finnished hemline and seams, inside/wrong side of a garment. Hems are done with a blind-stich on mashine. Hems can be done by hand, when requested. 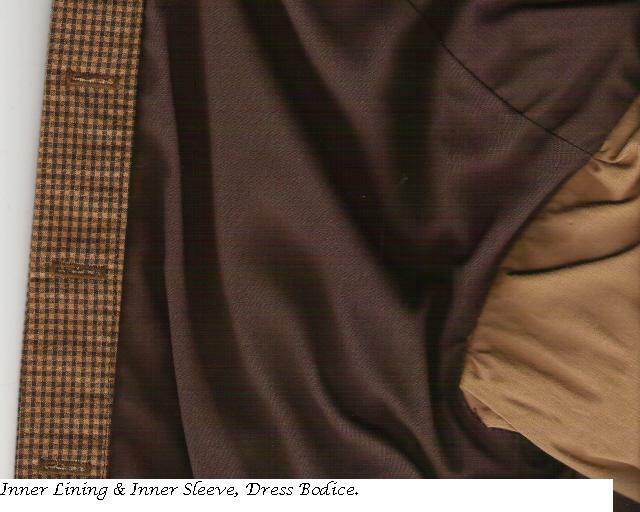 Inner Linings & Inner Sleeves, Dress Bodice. 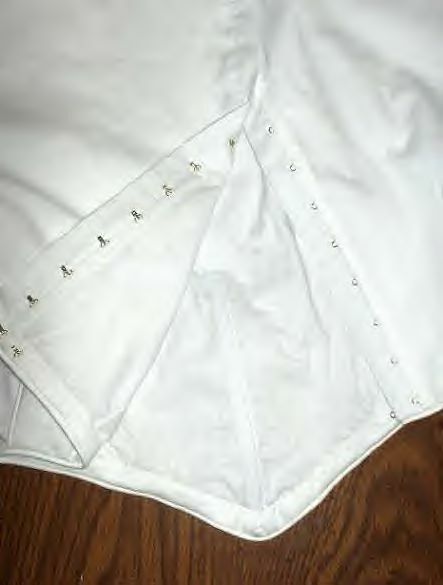 Hand stitched gussets sewed into the split on all men's shirts. They are standard on all men's & boy's shirts. 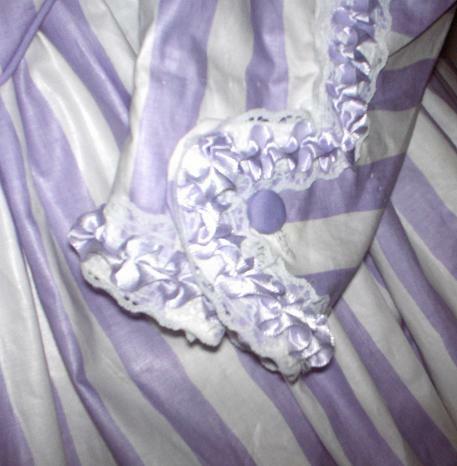 Tucks in the bottom of a night gown for a little girl's size 3. This one was custom made to order. 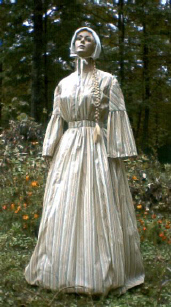 To the Left - Hand made outfit of eyelet . Overdress and bonnet hand crocheted. Betsy Doll – A doll from my childhood. She now sits on a shelf in my sewing room. A topic of conversation for all who visit. Garments and Costumes, Custom Made Just for You! 33+ Years Sewing Experience of costumes & custom sewing. 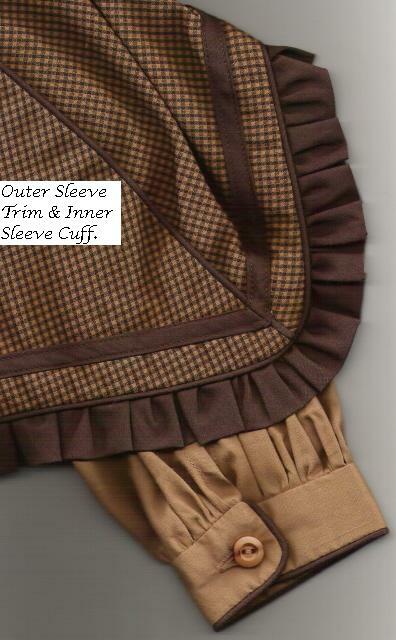 We can accommodate almost any sewing project you might need for reenactors, historical reproductions, or costumes.